Before I get to my meal plan for this week, I would like to review some highlights from last week's plan. I deliberately made it a pretty simple cooking week. Although it's still cold here and we had some snow yesterday, I like to pretend it's spring. Once warmer weather comes, we will have lots more simple meals, like our Friday night treat, above. 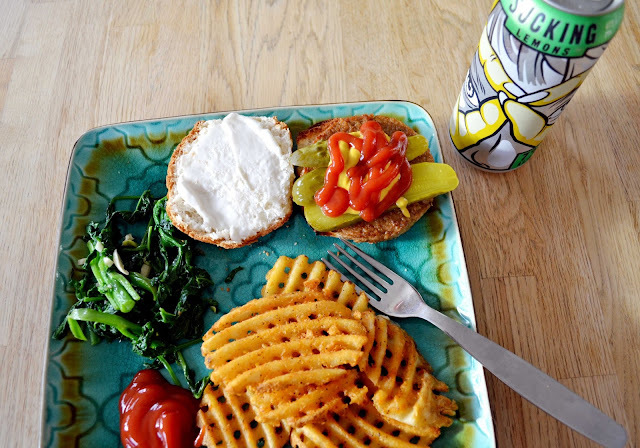 We enjoyed Sol veggie burgers, Alexia waffle cut fries and rapini sauteed in olive oil and garlic. I also tried a (tasty) vodka beverage called Sucking Lemons. I can only have one though, because I find this type of drink hard on my stomach. 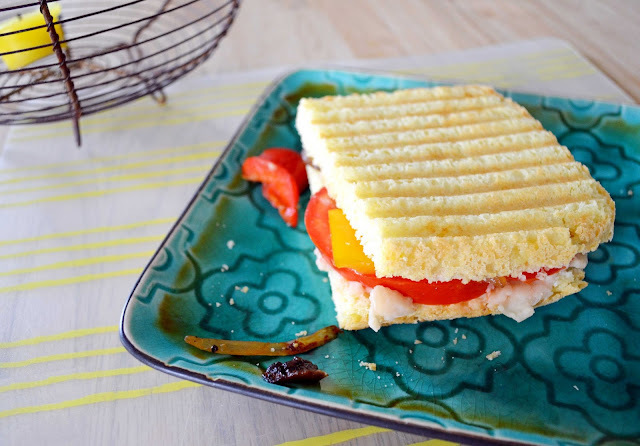 Speaking of my stomach, on Wednesday we intended to have these Roasted Vegetable Sandwiches with Zesty White Bean Spread. But I have been trying to eat mainly gluten-free to see if it helps my digestion ailments. So, I made a gluten-free bread from a mix. It was not the best tasting, let's just say. We also didn't follow the directions for the sandwich properly because we left the cooking too late, so we ended up frying the veggies instead of roasting them. Even so, I think it would be a good sandwich on normal bread. 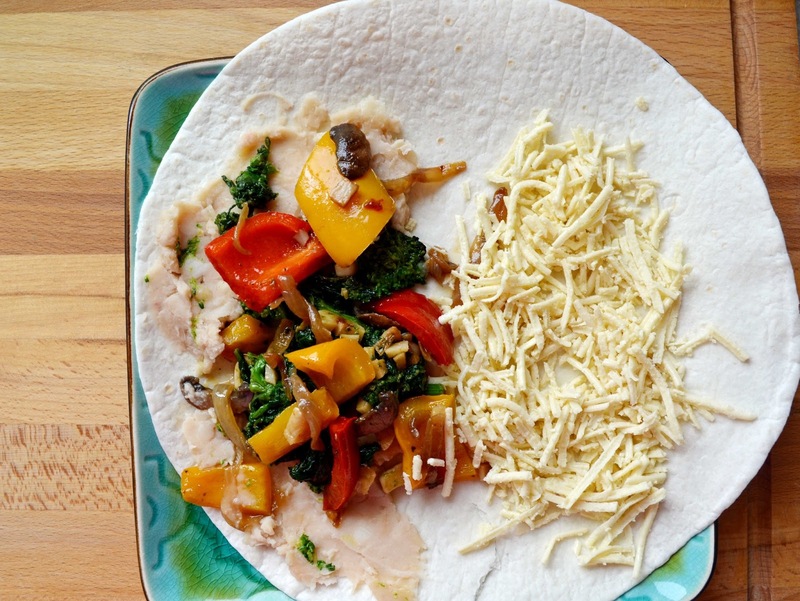 The next day I cheated on the gluten-free thing and threw another sandwich together on a tortilla. I used the veggies from the day before, leftover cooked rapini, white bean spread (from the sandwich recipe) and Daiya vegan mozzarella shreds. I folded it in half and heated it in a pan. Much better! Now for this week's plan. I am noting what side vegetable we plan to have too. That way I'm less inclined to get lazy and skip it. I bought one of those giant bags of cut rapini at Costco, so I will be eating lots of that this week! The kids will have a basic cheese pizza. No rapini. They love broccoli with garlic and olive oil so I'll serve that on the side. I hope the weather cooperates for a barbecue. Did you make this whitebean spread? It sounds delcious! The chickpea and tomato soup sounds delicious! I will be adding it to my week I think. All though I do think Sunday night looks the best on your Menu this week! I am a huge fan of pretty much all that Alexia products. We recently tried the sweet potato waffle fries and tots. Both are yummy! Alexia waffle cut fries look impressive Jo! The menu looks great for this week. I hope they develop better gluten-free breads soon. I've never heard of rapini, I had to google it! I'm excited to see pics of the dishes. 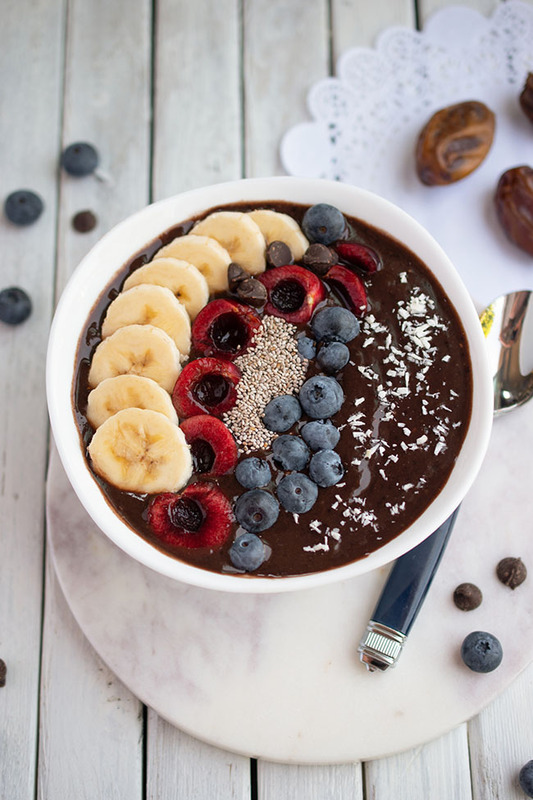 Thanks for sharing, I love looking for inspiration (gluten and dairy free). 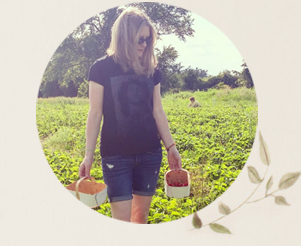 Pretty new blog look! And yum, everything looks delicious. I need to go eat breakfast. My mother has been gluten free (most of the time) for a year now. She is on the constant look out for a good recipe for gluten free bread. When she finds one she is happy with Ill pass it along. I buy rice bread from a local bakery and it's good for toast but not for sandwiches. I love Portobello burgers. Great menu!